Experience the local traditions and stunning landscape of Sapa on a 2-day trekking tour with a homestay at a small village. Your guide leads you past terraced rice paddies and lush rain forest on a tour that covers about 10 miles (16 km) total on foot. 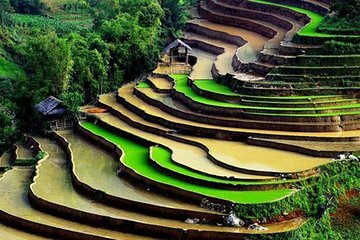 Suitable for active participants who are comfortable with rustic conditions, this tour includes homestay accommodation, several meals, and round-trip transportation from Hanoi.